Enterprising creative & business professional. 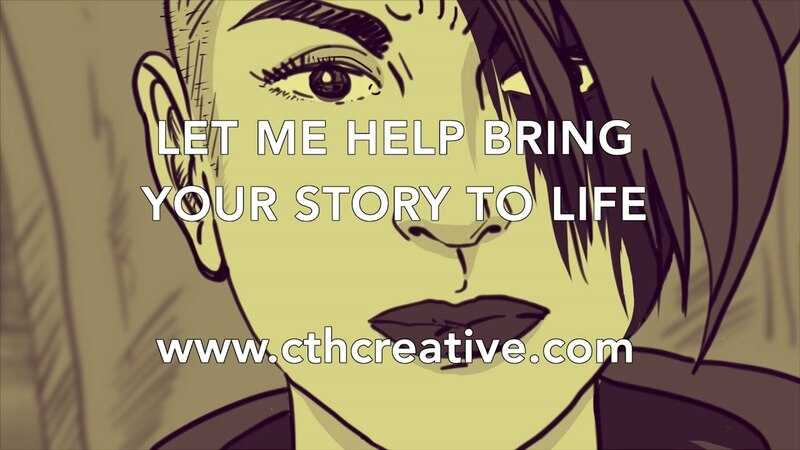 I create storyboards for feature films, television commercials, music videos, or anything that needs to tell a story through visualization. My inspiration and style embrace strong influence from the comics and pop art, most notably the classic super heroes works by Jack Kirby plus numerous unique European comics drawn by Peyo (Smurph or Schtroumpf in French, Johan and Peewit or Johan et Pirlouit in French), by Hergé (Tintin), by Morris (Lucky Luke), and most definitely by Albert Uderzo (Astérix and Tanguy et Laverdure), all of which helped shape my drawing style since childhood. 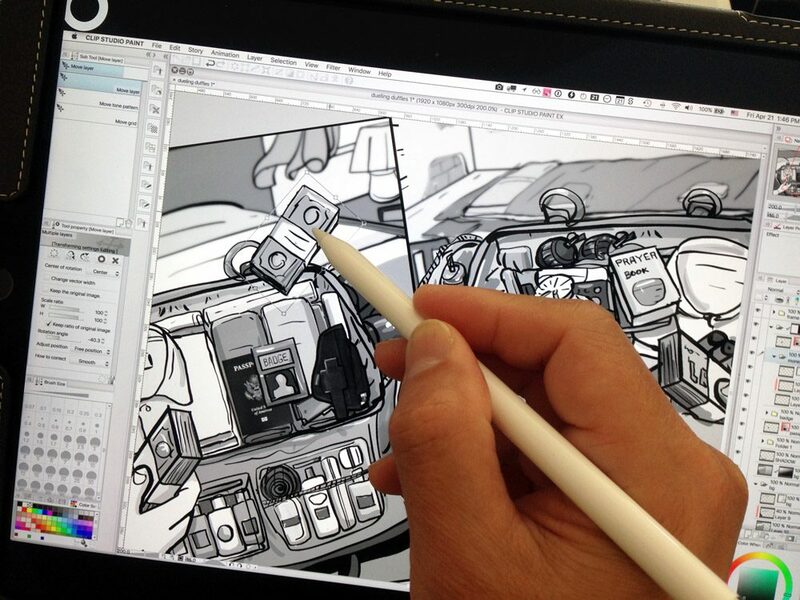 During these early days, I was soaking up all these wonderful and beautiful art styles while at the same time studying and training in the classic techniques in drawing, shading, perspective, color, and composition. 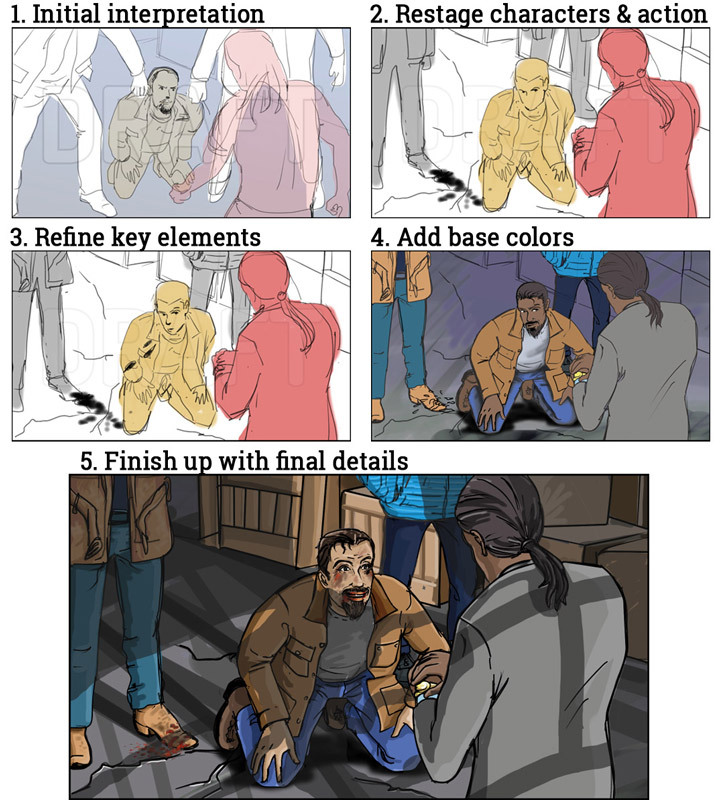 With a combination of classical art training, a huge amount of hard work and extreme discipline, plus self-taught techniques and self-refined processes, I’ve developed my storyboarding style to help clients tell their stories using a wide range of human expressions, dynamic action, and bold and impactful use of colors, drawn in a tight and detailed composition for each frame. I work on-site or remotely across the world using the latest communication technologies. 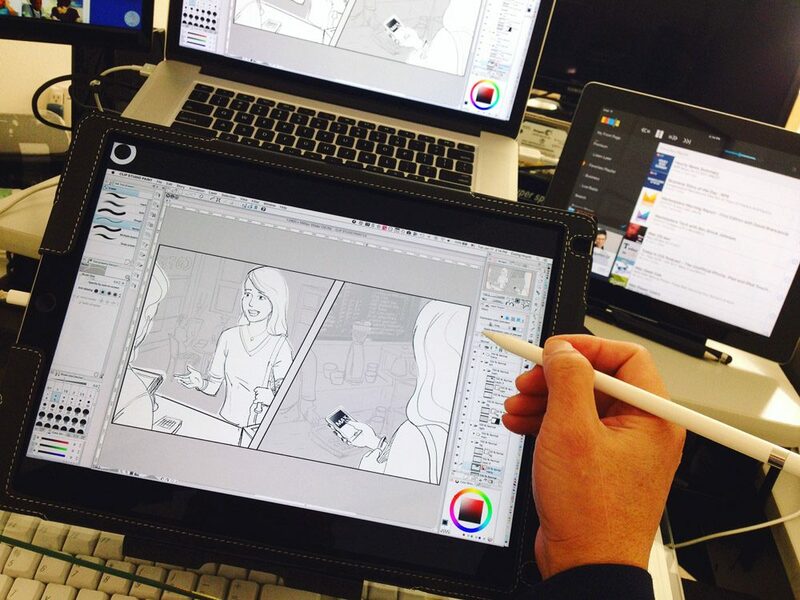 Either way, a client always receives the best storyboards that I can produce, with professionalism and efficiency. When I’m not storyboarding, I’m also a marketing professional and restaurant consultant. I love challenges that combine fine arts, engineering, business and marketing. Left brain and right brain, I use them both. I’m ready to tackle your challenging project. For a quick quote to do your project, contact me here. 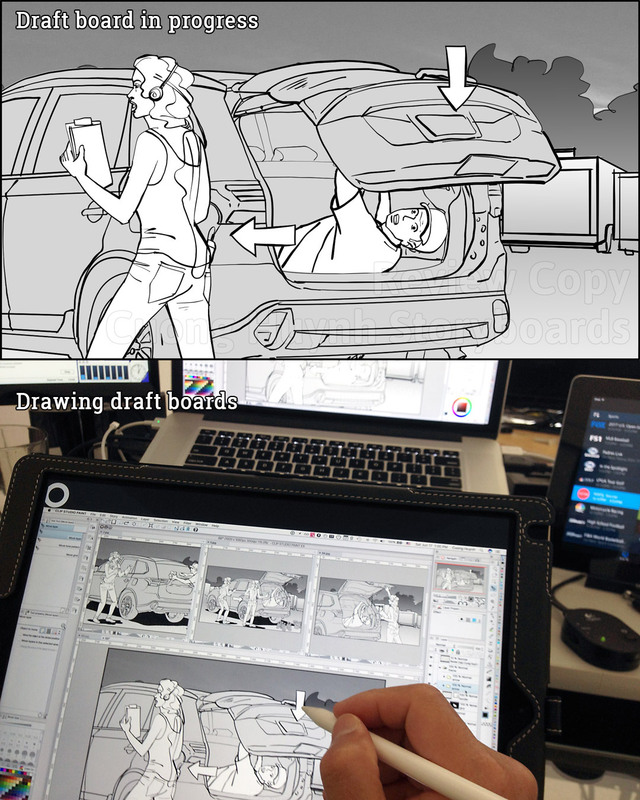 I’ve done storyboards for filmmakers in North America, Australia, New Zealand, the U.K. and Germany. 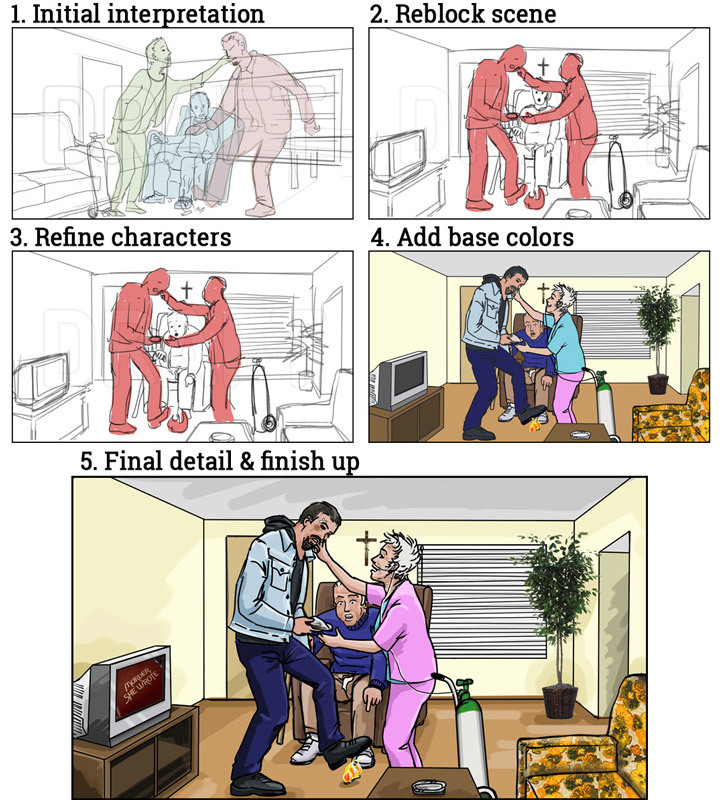 I can do storyboards for your project regardless of your location. 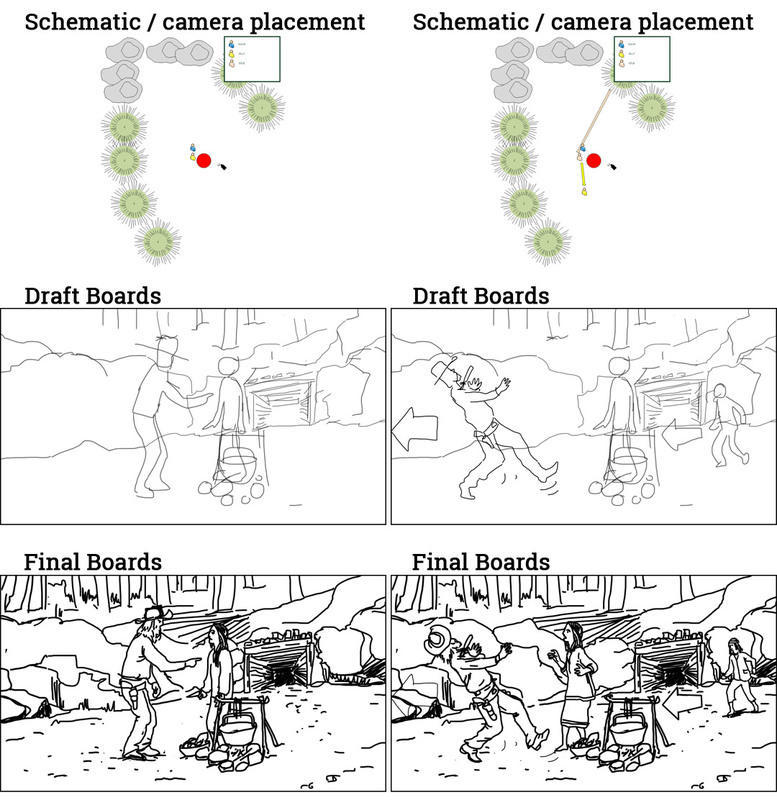 So why hire me for your storyboard needs? Quality: I take great pride and give detailed attention to each board I produce. Professionalism: My boards help you shoot better. I always strive to understand your intent/goal before starting. 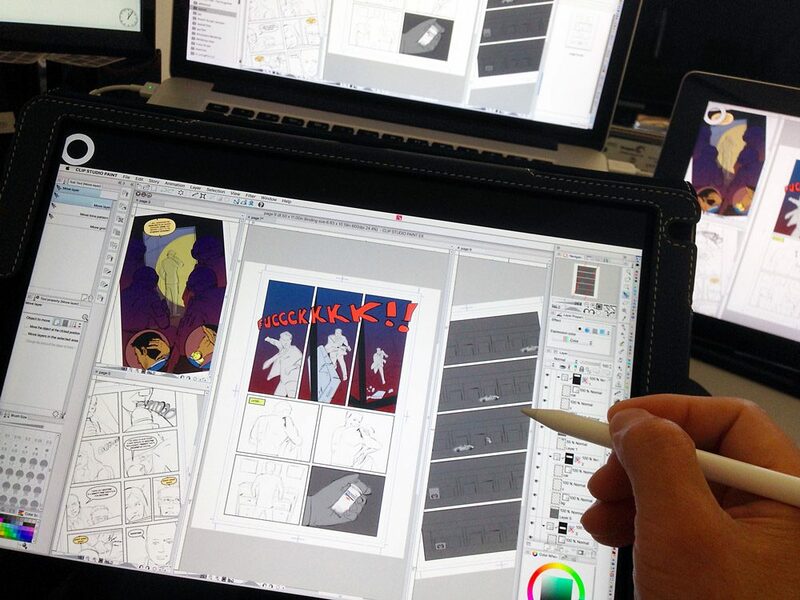 Storyboarding is not just for creativity’s sake. It must also help the project meet established business goals as well. Delivery: I deliver on time. Period. Responsiveness: I keep clients informed and in the loop at all times. I’m on California time, but my process allows me to support clients in any time zone. Regardless, your urgency is my urgency. Price: I will work with any budget, and you will always get great work from me. I’m ready to tackle your challenging project. Contact me here. 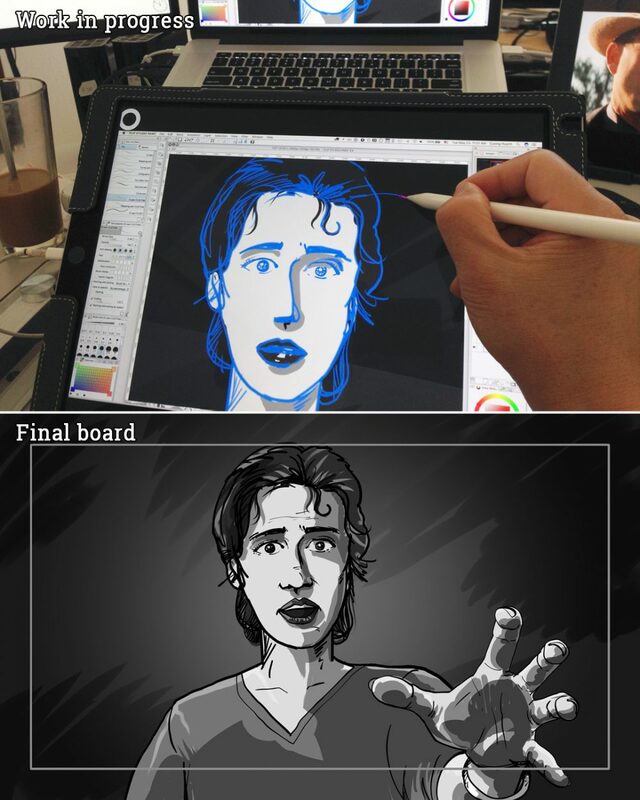 My Storyboarding Process Ensures Quality Boards Done Within Budget and On Schedule. I examine your script, character and location references, then discuss all important aspects of your creative vision. A shot list is generated to serve as requirement and tracking device. 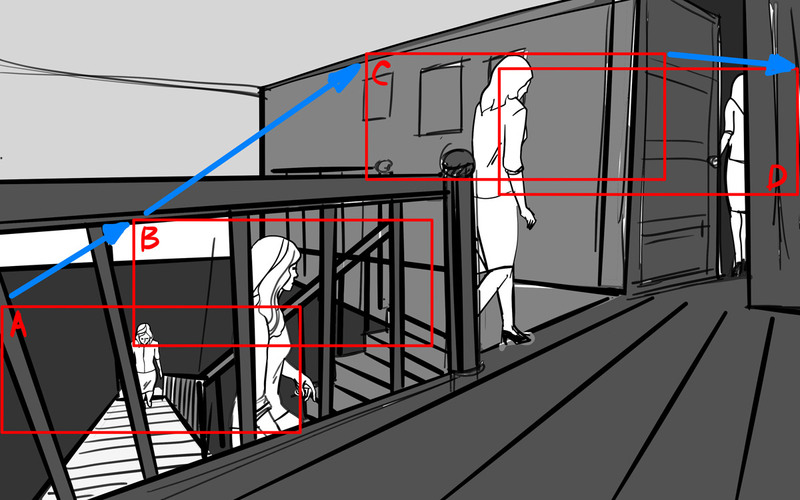 I send board drafts for your review to ensure correct frame blocking, shot type, camera movement and in-frame action. Online tools facilitate annotations and comments directly on the boards with real-time notifications. I evaluate and discuss your feedback to ensure all concerns are met, changes are incorporated, and alternate solutions are explored to meet the project’s creative and technical goals. 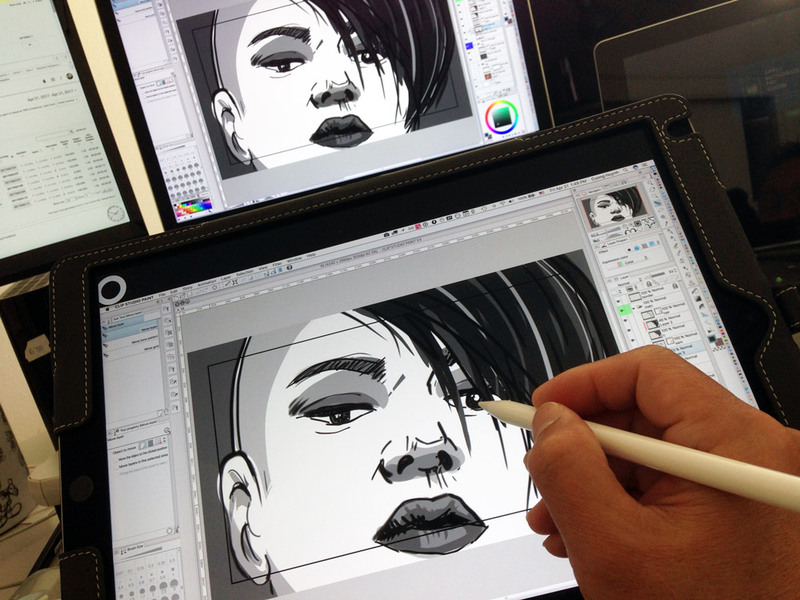 I make changes as discussed, then process boards to format and quality level as required. Final boards will be delivered on-time and on-budget. Further revisions beyond final delivery are always available as an option.